The BRSCC Mazda Championship is one of, if not the biggest one make Championship in the UK. It offers cost effective, highly competitive motorsport and is popular with novices and experienced drivers alike. Blendini Motorsport are proud to have won this competitive Championship 8 times. 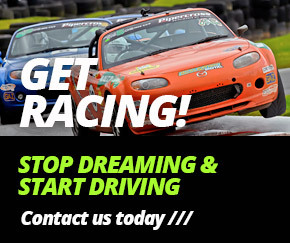 We have a number of race-ready hire cars available for both single events as well as on a full season basis so you are able to tailor the package to your own specific needs – Great if you are just getting started. We also run a number of customer-owned race cars.